Exporting data to CSV is simple. All you need to do is configure the settings for the export you wish to perform by clicking the gear icon for the data set you want to export from. Within this area, you can decide what information you want to export. 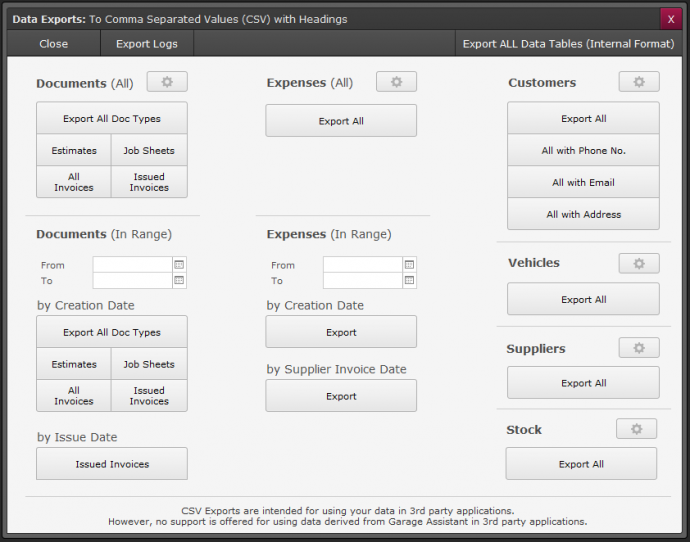 Once you are satisfied with the fields to export you can choose from the options listed below, under each category, to perform the relevant export to CSV file. When an export has been performed, a log record will be created, recording which user performed the export, the type of export and the date / time, for reference purposes.